I can still remember when my husband Ben and I were engaged, like most engaged couples, one of us started the, "So when we have kids, what do we want to name them?" discussion. It wasn't a serious talk, just one of those silly, off the wall times where we wanted to see what crazy names the other had come up with. "I've always wanted to name my son Elijah". I can still remember the shock when I heard this sentence come out of my husband's mouth because, like most girls, I had picked out baby names long before I even started dating - and Elijah was the only boys name I ever wanted. As Ben and I sat in that tiny office, hearing the words, "Your son has only a 30% chance of survival and even then, it will be a battle. The best you can hope for if you go through with the pregnancy, is that he survives long enough to be put on dialysis and wait for a kidney transplant." I clutched the cold metal arms of the chair and began to fall apart. I remember sitting there thinking, "Wake up! Wake up! This can't be happening, this has to be a nightmare and all I have to do is wake up!" 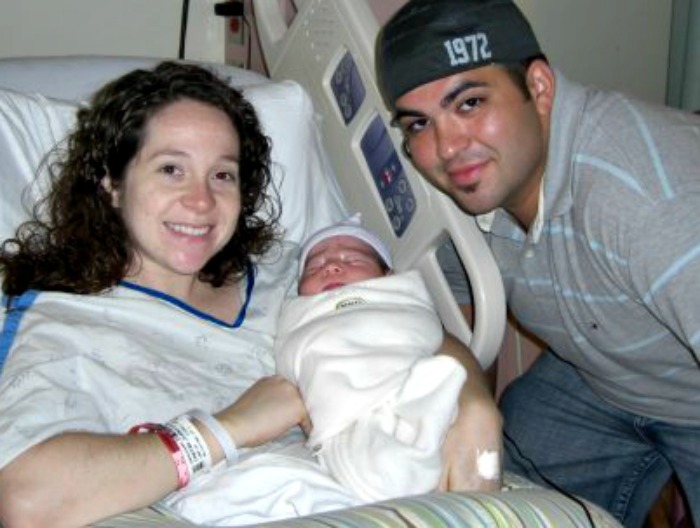 But the genetic counselor kept right on talking, quietly explaining our options, assumed we would want to terminate the pregnancy, and instructed us that when we were ready to try again, they would assist us through in vetro fertilization because one or both of us were carriers of a poly-cystic kidney disease and the odds of us getting pregnant with a healthy baby were slim to none (turns out neither of us suffer from the disease, as we both had to have ultrasounds done on our own kidneys to rule out one of us going into kidney failure in the future). I couldn't believe what I was hearing. I had always thought of my faith and trust in God as something that was unshakable, but I found myself in that moment wondering where in the world God was. It certainly didn't feel like He was in that room. Turns out He was. As I quietly feel apart, I felt the calm, reassuring hand of my husband next to me. As the genetic counselor asked us if we had made a decision about the pregnancy my husband was able to speak what both our hearts and our faith told us. We were keeping Elijah for as long as God would give him to us. It was in that little room that Elijah's testimony of God's power and goodness was beginning to form. I remember hearing my husband, almost laugh as we stood up to leave, say to the counselor, "See, what you don't understand is, God has a plan for our son and His plan is to heal him." I wish I could say my faith was as unwavering as my husbands, but in the beginning, I struggled. 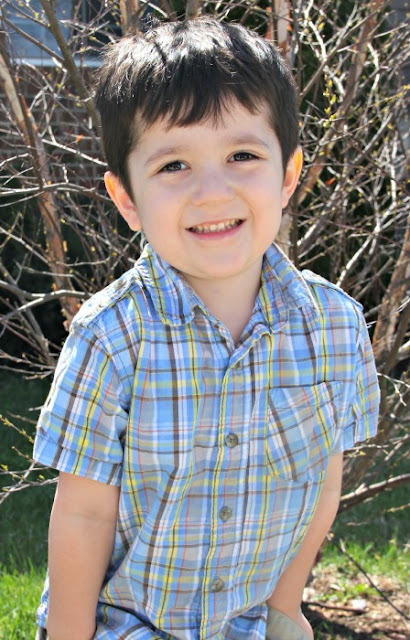 With ever doctors appointment we were told over and over, "His condition hasn't changed. "Abortion is still an option" (this was offered ,unbelievably, even up till I was 32 weeks pregnant). Every little baby kick I felt didn't bring joy, it brought waves of fear. "Would I ever get to hold him? What will our lives look like after he's born? What if I God doesn't heal him and I have to plan a funeral?" I prayed and prayed for answers. Finally, one afternoon, I was vacuuming and feeling Elijah's usual baby kicks, getting quite stronger now, and suddenly something in me changed. There inside of me was life, moving, growing, breathing - living, and as many days as God was going to give me to share in the life of my son, I was going to take joy in him, I was going to have hope. I was't just going to believe in miracles - I was going to ask God to give me one! God knew my son. Though I may not have understood His purpose or His ways. I could trust that God had a plan and that ultimately, whether Elijah was born into this world, or born into heaven. God was going to use him for something great. 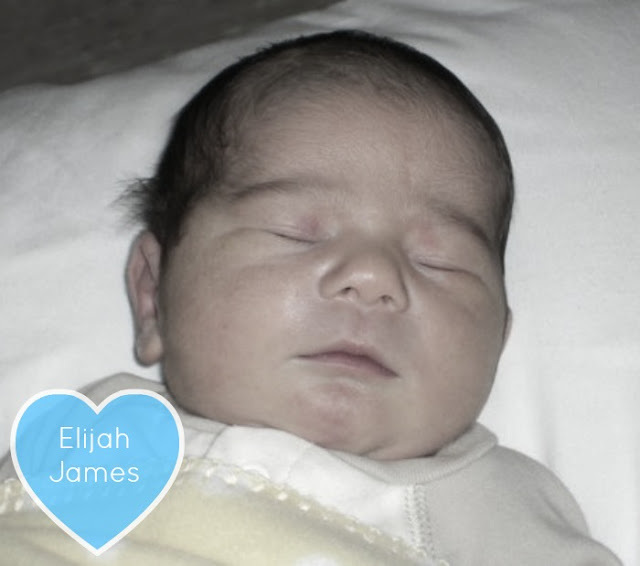 Elijah was born in under two hours of labor on September 11, 2009. We barely made it to the hospital! After he was born, the midwife handed him over (I hadn't planned on a midwife, the doctor just didn't make it to the hospital in time) and I remember the relief of being able to hold this little man in my arms. They sent him off for another ultrasound on his kidneys and told my husband and I we would need to make an appointment with a specialist in Children's Hospital in Washington DC to read the results and begin the next steps of treatment. Still, for both Ben and I there was a quiet peace and a growing faith that God had a miracle in store for us. Elijah was six weeks old when we arrived in Washington DC to meet with the specialist. We were escorted back to another little room where we waited to hear from the doctor to come in and discuss his findings of the ultra sound. When the door finally opened, we were staring at the face of a very puzzled specialist whose first words were, "Can you please tell me again why you were sent here?" I could feel tears of joy being to fill my eyes because I knew what was coming next. The doctor finished, "I have checked his ultrasounds over and over and there are no cysts on either of his kidneys. You have a perfectly healthy baby boy". Elijah starts kindergarten this Fall and out of all my kids, he's the one who is sick the least - he has never shown signs of a disorder of any kind. Of all my kids, even at just 5 years of age, he is the first to offer comfort to someone who is sad, or offer kind words to someone in need. His heart is sensitive to everyone around him. 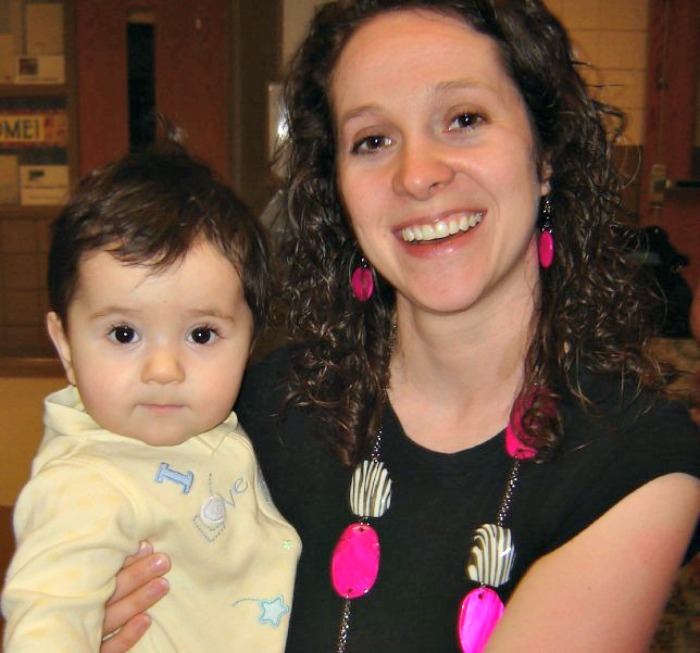 I know there are many Moms out there with stories similar to mine. Some have experienced the joy of a miracle, others the heartache and tears of letting go long before any parent should ever have to. I can't speak for every situation, or to God's purpose behind every heartache, but I can speak to you who are facing the same news, the same agony that I felt when I first learned my son wasn't supposed to live. When life is out of our control, when our ability to fix something is beyond the work of our own hands, there is only One that we can turn to. There is only one of two answers in response to Elijah's story. Either the doctors were wrong from the beginning, and they urged me to terminate the pregnancy of a perfectly healthy baby, or there is a God who is real, a God who has a plan, and a God who still performs miracles. We thank God for giving our kids such wonderful Grandparents - especially our Pop :) We love you! That is amazing. I had no idea. He's a handsome little guy! He is amazing! Where would we be without Him! God definitely has a plan for your son! He will do amazing things - just sit back and watch! I'm so glad he was fine! This is why people should be careful before making life-altering (and ending) decisions based off ultrasounds. Doctors can be wrong! God can do many wonderful things. I am so happy he is doing ok and congratulations a beautiful handsome little guy. What a wonderful story! I am so happy for you and your family! What an amazing and truly inspiring story of the things that can happen when you DONT give up! I'm happy for this they have angels as we all do watching over them! I'm so happy for you and your family. It is so true that God has a plan for all of us. I lost a son and it still haunts me, maybe I did something wrong. But I trust God and know he knows whats best. I had a beautiful daughter and now have a beautiful Granddaughter. It's been hard since I found out about all my medical problems (MS,and more), but we are adjusting and I know God and my son will be waiting for me when the time comes. Thanks for sharing your beautiful story. I can only imagine the pain of losing a child. I don't doubt that is a loss you forever feel. I'll be praying for you Karen (I am at this moment) that doctors will have wisdom dealing with your medical issues. Though all of the storms in life, God will be our anchor if we let Him. He works all things together for our good. Thank your for sharing! Please keep me updated here and there on how you are doing! I have NO doubt & after what God has done for your family, you shouldn't either, there IS a God!! God does NOT make mistakes! You going through with your pregnancy & leaving Elijah in the hands of God is faith!! Your son is handsome, healthy & happy!! I hope you thanked our Heavenly Father for your miracle!! GOD IS THE ULTIMATE PHYSICIAN!! My mom was told that I wasn't going to make it either. I was born 3 months premature in 1973 & weighed 1 pound 14 ounces then went down to a pound 8 ounces. My grandmother told my mom that I was going to make it & immediately went home & started making clothes for me to wear. Back then there was no clothes that small. Well grandma was right, here I am 42 years later and I am healthy although I do have cerebral palsy. My family's faith in God got me through the 3 months I spent in the hospital. It looks like both Elijah & I are proof that doctors don't know everything. How wonderful Deborah! Life is precious and God's plan is always good. I can only imagine the lives you have touched! Beautiful, unbelievable, yet full of belief. What joy praise god. I am so glad that he is ok now.......I cannot imagine how scary that way when you were pregnancy. What a wonderful story. So glad the Elijah is around to give you joy. What a wonderful story of faith! God has a plan for each of us and at though we may not know what it is, he knows. I am so glad that your son was born a healthy, beautiful little boy! I am sure he brings you lots of joy! Just as Psalm 139 says, your beautiful son was fearfully and wonderfully made. When worry takes hold of my mind and heart, I remember to say to myself, let go and let God. You and your husband are so blessed with your children and your faith in Him. Thank you for sharing your beautiful story. Gid definitely has a plan!